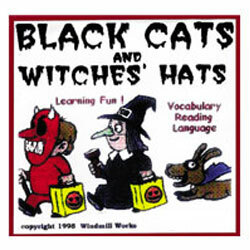 Filled with black cats, witches' hats, and everything else children love about Halloween, this fun learning program helps to develop vocabulary and word recognition skills. Four different games in 15 categories. Hours of learning fun. Great for deaf and hard of hearing studying, children learning English as a second language, and students with other special language needs. Ages 8 and up.